Mary, Did You Know? 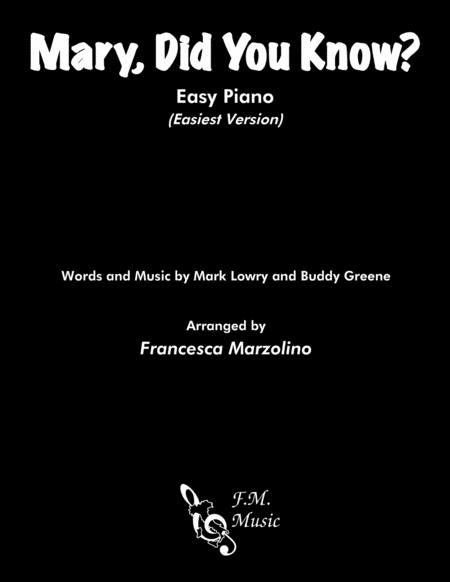 arranged for easy piano by Francesca Marzolino. 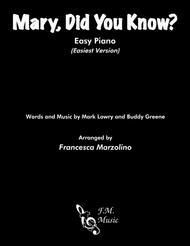 Arranged in the key of D minor and suitable beginners looking for a fun challenge around the holiday season!